A critical examination of marketing practices, which explains why people buy things and how products, services, and consumption activities contribute to the broader social world that consumers experience. 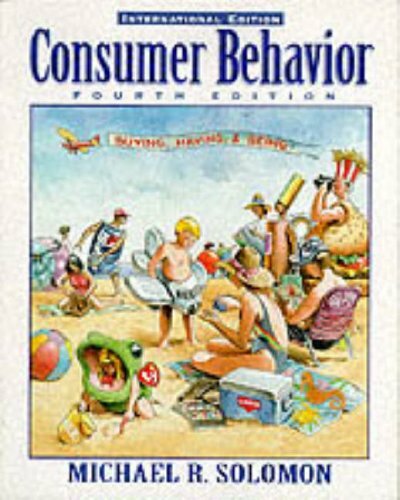 For sophomore/junior-level courses in Consumer Behavior and Consumer Psychology in the department of Marketing, and for use in MBA courses.Using a lively writing style, examples that relate directly to students as consumers, and "cutting-edge" research, this critical examination of marketing practices explains why people buy things and how products, services, and consumption activities contribute to the broader social world that consumers experience. It not only probes the psyche of the American consumer, but also considers the many other consumers around the world whose diverse experiences with buying, having, and being are equally valid and vital to understand. Uses a psycho-social, behavioral approach.